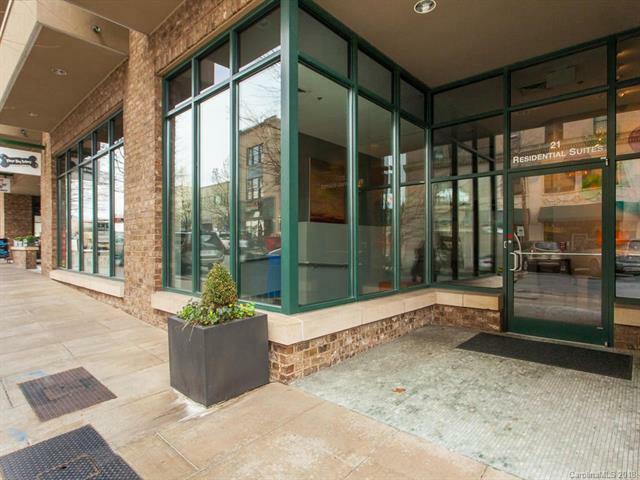 Imagine your own personal oasis in the heart of Downtown Asheville. This beautiful, one level condo offers spectacular views and luxury living at its absolute best. This 6th floor unit boasts hardwood floors, granite countertops, stainless appliances, a spacious balcony overlooking Saint Lawerence Basilica, and so much more! Enjoy private parking, a rooftop terrace and social lounge, as well as a large workout facility, all from the privacy of your own building. Surrounded by delicious restaurants, lively bars, and fantastic shopping, yet quiet and serene inside, this unit offers the best of both worlds!